It’s not hard to see where Huawei laptops take inspiration. 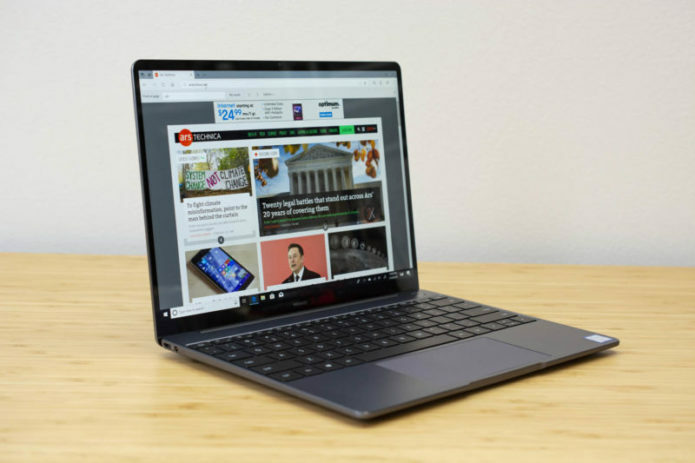 Just as the MateBook X Pro aped a lot from the MacBook Pro, the new MateBook 13 doesn’t exactly scream “original.” But this time, Huawei has its sights set on a new target. The MacBook Air. Boasting a starting price of $1,000 along with a sleek new design, the MateBook 13 looks like it has what it takes to challenge the Air. Is it just another copycat, or is it the real deal?